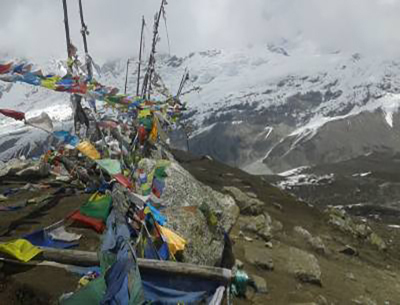 The Langtang Gosainkunda Trekking is a beautiful journey that takes trekkers through the Himalayan Park and presents azure mountain lakes and pristine terrains ornamented with serene peaks and divine jaded surroundings. With the trekking trail that meanders through the Langtang Valley, the trekking journey lets the trekkers experience the region's rich Tamang culture as well. The journey starts with a sightseeing tour of the Kathmandu valley's UNESCO Heritage Sites and commences from the town of Sybrubensi. The charming adventure also includes many Tamang settlements of the Langtang valley like Changtang and the famous Langtang village among many others. The path also leads to prominent Buddhist Gompa and monasteries of the region as well, like the Kyanjin Gompa and the Sing Gompa. Similarly, one of the best highlights of the trekking journey is the holy Gosainkunda Lake- believed by the Hindu people to be the abode of the deities Shiva and Gauri. The waters of the lake hold a significant amount of religious importance especially during the festival of Janai Purnima when thousands of pilgrims flock to the destination for prayers and rituals. 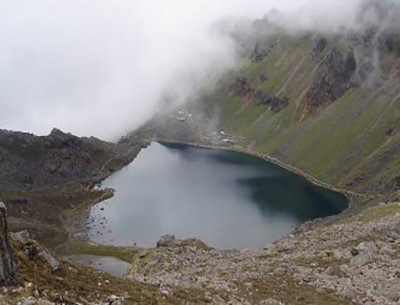 Moreover, the gorgeous Himalayan lake of Gosainkunda also holds a legendary myth about its creation. It is believed to have been created by Lord Shiva when he thrust his Trishul into the mountain to extract water so he could cool his burning throat after swallowing a poison that was threatening to consume the world. The Langtang Gosainkunda Trek is an easy trekking journey that takes trekkers to the northern borders of Nepal and presents the region's idiosyncratic Tamang culture along with its gorgeous terrain that holds many natural hallmarks. It is best done during the months of March to May and September to December. However, the journey is not recommended during the winter because the lake tends to freeze over. The Langtang Gosainkunda Trek by Destination Unlimited is the best package created with the satisfaction and enjoyment of our customers in mind. With us, you get the best services regarding all aspects of trekking- from accommodation to transportation and guide. Our services are aimed at meeting every expectation of your journey. When you arrive in Kathmandu, you will be greeted by one of our agency's staff member who will help you get transferred to your Hotel. You can check-into your Hotel and relax. Overnight stay at the Hotel. The Kathmandu Valley sightseeing tour commences in the morning after breakfast, where you will visit the four major UNESCO World Heritage Sites of the city. The sites include the Pashupatinath Temple- a holy Hindu shrine, the Boudhanath Stupa- the largest Buddhist Stupa in the world, the Swayambhunath Temple- a revered site atop a hill in the peripheries of the city and the Kathmandu Durbar Square- a sprawling complex of old buildings, monuments and structures that are the reminiscent of the country's medieval era. After the tour, you will be dropped off at your Hotel again. Overnight stay at the Hotel. From the city, you will drive towards Sybrubensi today. The small town of Sybrubensi is often the start of many of Langtang's treks. The drive is pleasant as you will get quick fleeting glimpses of the countryside life of Nepal. Terrace farms of rice and mustard decorate the terrain and giant green hills with silver rivers meander around the road in a pleasant atmosphere. Overnight stay at the guesthouse. Trekking alongside the Bhote Koshi River, you will make your way forward until the river merges with the tributary of the Langtang Khola. From here, you will be entering the Langtang valley and following the trail that gradually climbs towards Bamboo. From here, the path ascends gently downwards towards the village of Ramche. The trail then moves through the woods towards the Lama Hotel. Overnight at guesthouse. From the Lama Hotel, you will progress forward in the trekking journey, following the trail as it winds through the thick woodlands towards villages like Gumanechok and Ghoda Tabela. The Langtang village is situated ahead of the pastures. From the Langtang Village, you can get magnificent views of peaks like the Langtang Himal (7227m), the Shingri Himal (7161m) and the Ganesh Peak (7422m). Overnight at guesthouse. From the Gompa, you will trace your way back on the familiar trail down to the Lama Hotel. Along the way, you can enjoy the towering views of the cerulean mountains that hang against the blue sky like colossal walls of ice and snow. 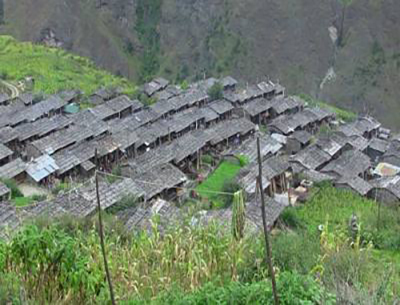 You will thoroughly enjoy the descent walking through Tamang settlements. Overnight at guesthouse. From the Lama Hotel, you will decent to Langtang River, crossing it via a suspension bridge and ascend to Thulo Syabru. It is a pleasant trek as, along the way, you can see fascinating view of the Langtang Himal (7227m) looming over the valley against the woodlands verdant with pine and juniper. Overnight at guesthouse. The trail broadens out after the village is crossed. Following the path, you will be climbing up to the Dimsa village. The path from here is adorned with lush rhododendron trees and hemlocks of ancient oaks. Trekking through the woods, you will reach Shin Gumba- another popular place for Langtang's cheese. Overnight at guesthouse. For the initial part of the trekking trail, you will steadily climb up to Lauribinayak. The top of the Lauribinayak ridge presents you with gaping views of the green valley and of the peaks that surround it. From here, it is a steep ascent all the way to Gosainkunda. Passing a few huts in the high pasture of Lauribinayak, you will cross a small ridge and finally get your first view of the holy Gosainkunda Lake. Overnight at guesthouse. Today, you will be exploring the higher lakes of the Gosainkunda basin that has a complex of at least 15 lakes and ponds at 4,054m-4,620m altitude providing water for the Trishuli tributary of the Narayani River system. Among the many lakes that are situated in the basin, the main three lakes of Gosainkunda are the Saraswatikunda, the Bhairab Kunda and Gosainkunda itself. The blue water of the lakes contrasts quite majestically with the glowing white of the snow. Overnight stay at the guesthouse. Retracing your way back, you will be trekking once again on the similar trail back to the Shin Gompa, passing through verdant woods and lush forests that are home to endangered species of animals like the Red Panda and the Musk Deer. If you are lucky, you can also catch the glimpse of the animal perched high on the branches of the moss-covered pine. Overnight stay at the guesthouse. Going through the Tamang settlements, you will follow the path back towards Dhunche, meandering into the valley and enjoying the dense canopy of emerald foliage decorated with the giant tapestry of the Langtang Himalayas. The trail is mostly descent as you walk past Dimsa and Deurali. You can bid farewell to the Langtang Himalayas at Dhunche. Overnight stay at the guesthouse. From Dhunche, you will have a scenic drive back to Kathmandu. Along the way, you can see the Himalayas fading away and the cityscape emerging once again as you make your way around the hills covered in barley farms and mustard fields. You are free to spend the day as you prefer. Overnight stay at the Hotel. You will be dropped off at the airport for your final departure by one of our staff approximately three hours before your scheduled flight.